The annual PBKA Honey Show is on this coming Saturday 22nd September 2018 at the Pembrokeshire Beekeeping Centre, Scolton Manor. Would all the winners of cups and trophies last year, please ensure they bring them to the Honey Show suitably cleaned!! 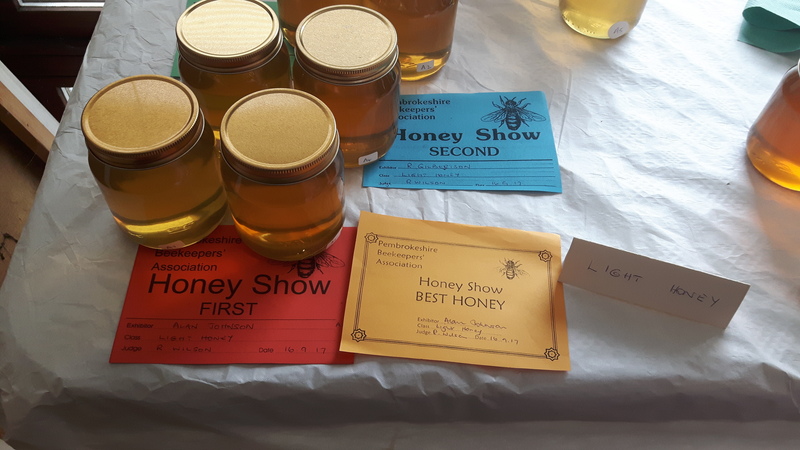 Note however, that you don’t have to put in an entry to come along to the Honey Show and we would be delighted to see you if you just want to have a look at the entries, or fancy a cuppa and a chat! 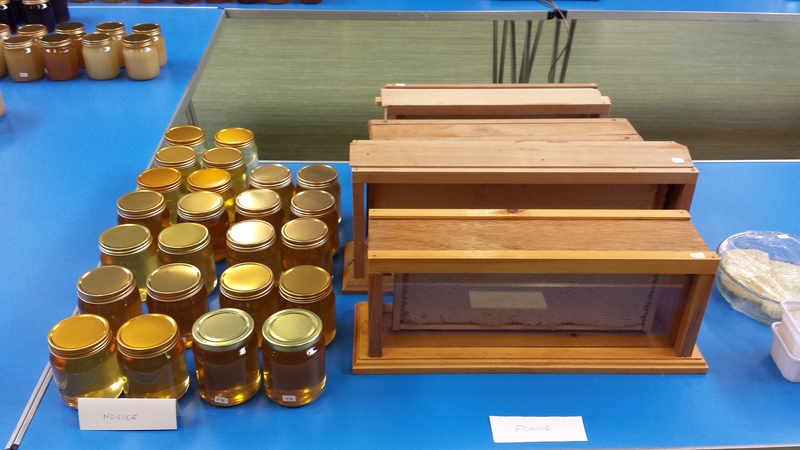 The Honey Show will be open to the public for viewing from 1pm until 3pm. Just to remind all members that the annual PBKA Honey Show is on Saturday 16th September 2017 at the Visitors’ Centre, Scolton Manor. The Visitors’ Centre will be open shortly after 9am and your entries should be available for staging by 10am to allow the judging to start promptly at 11am. We hope to see as many of you as possible put in an entry or two this year. 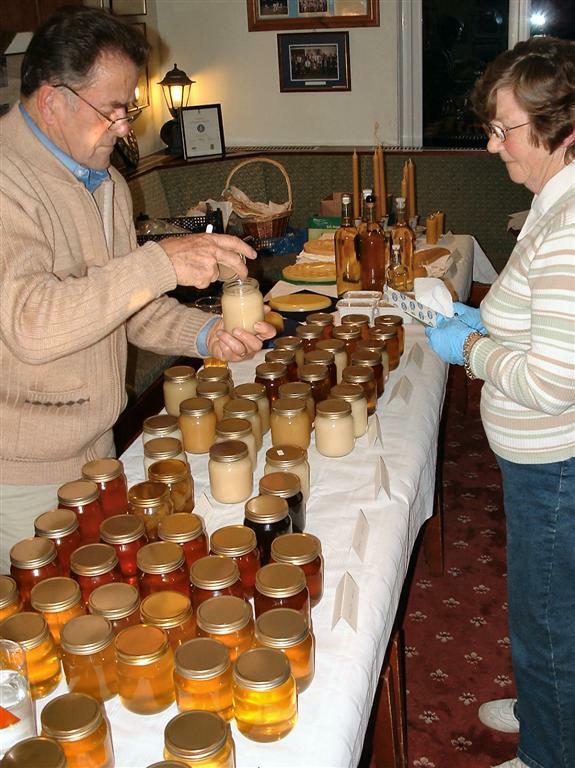 Note that you don’t have to put in an entry to come along to the Honey Show and we would be delighted to see you if you just want to have a look at the entries, or fancy a cuppa and a chat! Directions: As you enter the main gate at Scolton, turn left and follow the road down to the Visitor’s Centre pay and display car park. Click on Schedule for the Honey Show 2017 for full details. Just to advise all members that the annual PBKA Honey Show is on Saturday 16th September 2017 at the Visitor’s Centre, Scolton Manor. The centre will be open shortly after 9am and your entries should be available for staging by 10am to allow the judging to start promptly at 11am. We hope to see as many of you as possible put in an entry or two this year. NB. Would all the winners of cups and trophies last year, please ensure they bring them to the Honey Show suitably cleaned!! The follow up Honey Lunch will be at Wolfscastle on Sunday 12th November, so pencil it into your diary if you would like to come…….further details to follow in due course! Just to remind all members that the annual PBKA Honey Show is this Saturday 17th September 2016 at the Visitor’s Centre, Scolton Manor. As you enter the main gate at Scolton, turn left and follow the road down to the Visitor’s Centre pay and display car park. The centre will be open shortly after 9am and your entries should be available for staging by 10am to allow the judging to start promptly at 11am. Note that the next day, Sunday 18th September, the final apiary meeting of the season will be held at the Pembrokeshire Beekeeping Centre at Scolton Manor for both beginners and improvers groups, so if you have any queries for the team or would like to share a story, please bring them along. Please note also that you don’t have to put in an entry to come along to the Honey Show and we would be delighted to see you if you just want to have a look at the entries or fancy a chat over what is likely to be a very busy weekend!